Stephen was admitted to legal practice as a barrister and solicitor in Western Australia in 1974 and in 1977 became a partner of Northmore Hale Davy & Leake, which was then regarded as one of the pre-eminent litigation law firms in Western Australia. Stephen was a partner of Mr Ian Temby QC (later to become the first Commonwealth Director of Public Prosecutions and first Commissioner of the NSW Independent Commission against Corruption) and Senator the Hon. Fred Chaney (who was later to become a Minister of the Commonwealth and Deputy Leader of the Federal Liberal parliamentary party). Stephen remained as a partner in that firm whilst it changed its name over the next two decades to Minter Ellison Northmore Hale and then to Minter Ellison. Between 1987 and 2000, Stephen was the senior litigation partner at Minter Ellison, developing a specialist practice in media and defamation law and industrial relations and employment law. During that time his case load was extremely challenging and varied, including being lead counsel in many serious criminal trials ranging from wilful murder to prosecuting for the Crown, jury trials, major appeals and Supreme Court defamation trials. In 1985 Stephen served a term as Acting President of the Western Australia Industrial Relations Commission. Between 1997 and 2000, Stephen was the Chairman of Partners at Minter Ellison, Perth, which by then was one of the largest law firms in Western Australia, and was also part of national firm Minter Ellison, one of the largest and most prestigious in Australia. On 3 July 2000, Stephen established a new law firm, Edwards Wallace, which operated in West Perth in media and defamation, and employment law solutions, for the next 12 years. Between 1995 and 1997 Stephen was Chairman of Western Reds Rugby League Football Club Ltd, Executive Chairman of Superleague Perth and also a member of the Super League Australasia Board, chaired by Ken Cowley AO. During his former career as a lawyer, Stephen was regarded as one of the leading members of the Australian legal profession in employment law and industrial relations, and was lead counsel in many cutting edge cases. In May 2013 Stephen accepted an airline appointment as Executive Director of Human Resources and Workplace Relations and a board position at Skywest Airlines Australia. He was then appointed Acting CEO of Skywest and also Head of Integration for Virgin Australia Regional Airlines, which had by then acquired Skywest. That task was completed in mid August 2013 and sensing that more than four decades as a lawyer was quite long enough in anyone’s language, Stephen decided to cease practising as a lawyer and instead registered as an industrial agent under the Industrial Relations Act (WA). In that capacity Stephen opened a new business, Fair Work Legal Advice®, which is a specialist consultancy in employment, workplace relations and fair work. The firm specializes in assisting people and companies in Perth and Regional Western Australia in the resolution of all types of employment issues and disputes, independent workplace investigations and negotiating enterprise agreements. 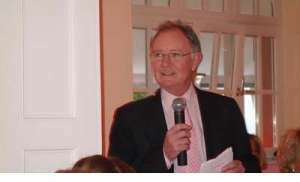 Stephen is no longer a legal practitioner, having decided not to be, but as an industrial agent he is entitled to represent clients in the Fair Work Commission and the WA Industrial Relations Commission in cases such as unfair and unlawful dismissal, general protections, denied contractual benefits and enterprise bargaining. Stephen currently has a wide range of clients, some very well known. He represents both employers and employees, and is easy moving between the two sometimes competing worlds of business and employees. He is vastly experienced handling employment issues for both and is highly regarded, and sometimes feared, in the business world and in his former profession as a lawyer, members of which are routinely adversaries in the employment cases he takes on. Law firms often brief Stephen to represent their clients. Lately, Stephen has undertaken some significant workplace investigations and has also developed a thriving practice as an enterprise agreement and fair work negotiator, where his experience and qualifications as a LEADR mediator are very useful. In addition to Stephen’s business as an industrial agent he and his wife Suellen have a farm at Cowaramup near Margaret River in the south west where they farm black Perigord truffles. Stephen is an experienced private pilot with a full command instrument rating. He flies Tiger Moths and Beechcraft Bonanzas and currently owns and flies a F33A Beech Bonanza, which he uses to commute to fair work and other hearings in Perth……….but just for the love of it! Although Stephen is now an industrial agent he conducts his business meticulously with the same ethics, integrity and standards as he did formerly as a senior certificated legal practitioner and applies and complies in all respects with the Code of Conduct prescribed by the Industrial Relations (Industrial Agents) Regulations 1997.